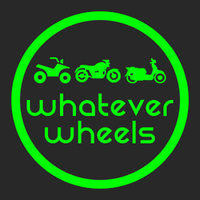 Whateverwheels Limited are a Which? Approved Trusted Trader situated in the Northwest of England. 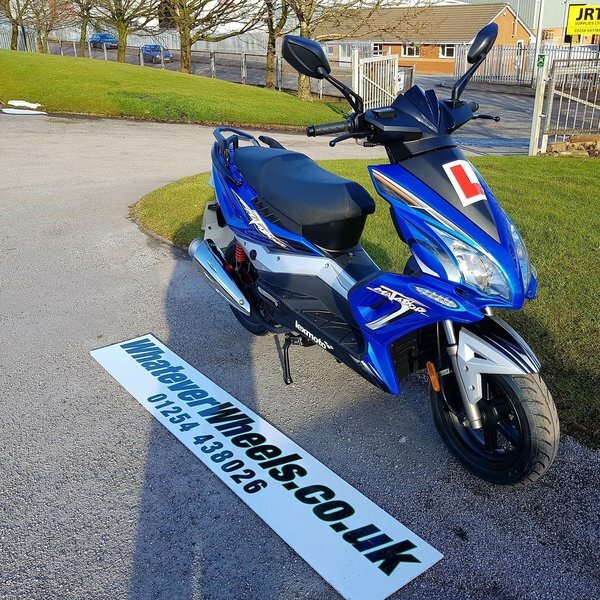 Established in 2009 the company has gone from strength to strength and continues to be the largest 50cc & 125cc motorbike and scooter retailer in the UK. 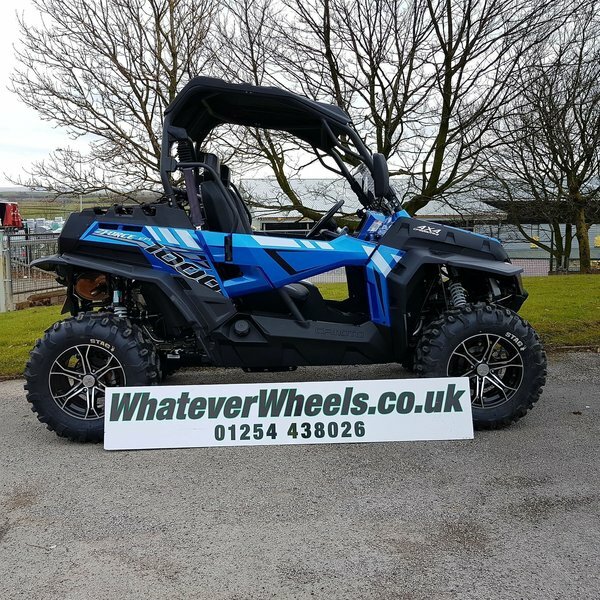 Not forgetting a recognised ATV Specialist across the country. We offer shipping of our products across Europe and pride ourselves on the service we provide. We have excellent working relationships with our suppliers which is what enables us to offer the best services in the country. 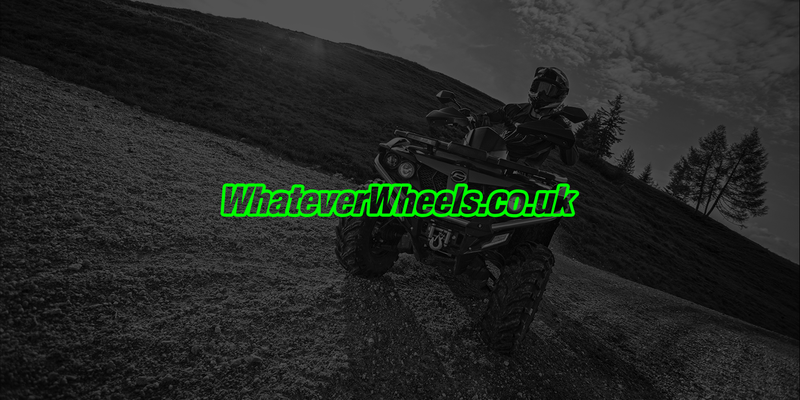 What do Whateverwheels Limited do? 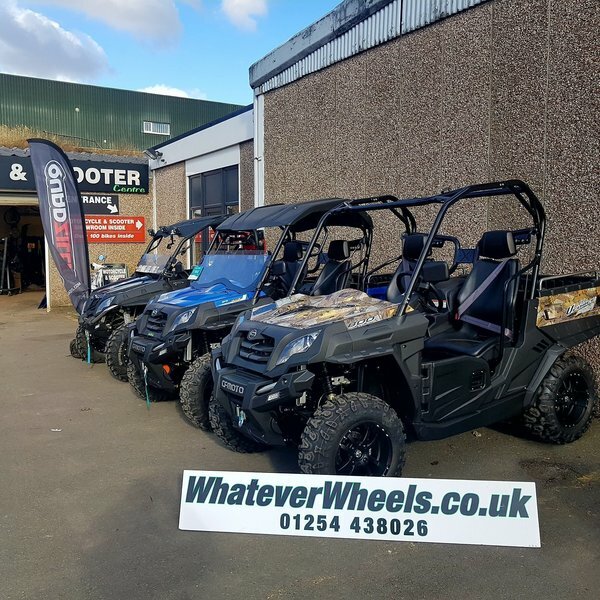 We have a selection of Motorcycles, Mopeds, Quadbikes, Buggies, Clothing, Accessories and Spare Parts from the worlds leading manufacturers. Our mission is to provide quality products at an affordable price. We offer a price promise guarantee to ensure our prices are competitive and an unrivaled customer service team. I had decided to buy a new 125cc bike, and spent a lot of time online researching and looking at dealers. I wanted to purchase the bike on finance, but all the websites I found had limited options and you had to complete the finance separately as opposed to through the checkout, which seemed like a lot of hassle. 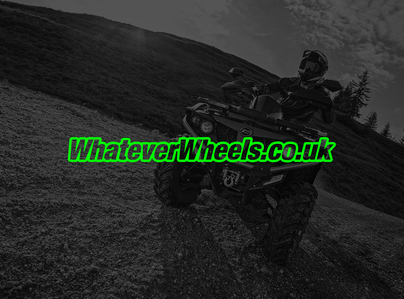 When I found the whatever wheels website I was delighted to find that, not only was finance through checkout an option, they also had a great selection of payment plans, including interest free through Close brothers who I know as a well trusted and reputable provider (my employers even use them). The checkout process was very quick and easy, but even better than this, the customer service was exceptional. 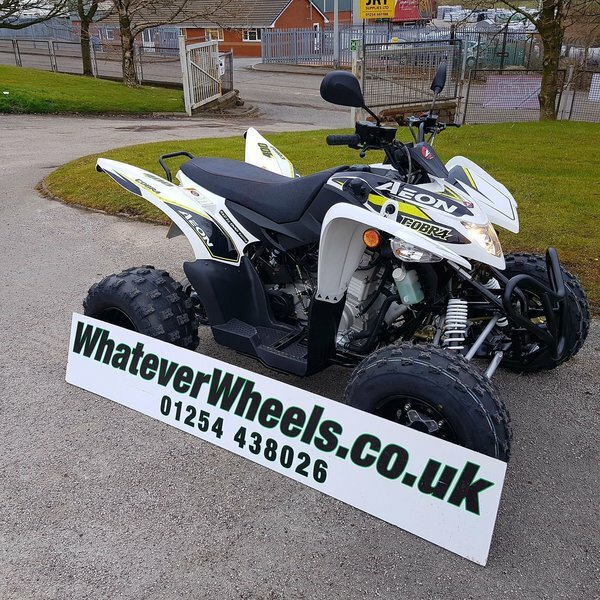 Luke was very quick to email me surrounding my order and was very helpful, including phoning me just to discuss if I wanted my kit to colour match the bike - this level of attention to detail and strong customer relations was a breath of fresh air. I ended up having the bike delivered at a very reasonable price less than a week later. The guy who delivered it was very helpful and friendly, and the bike is in beautiful condition. 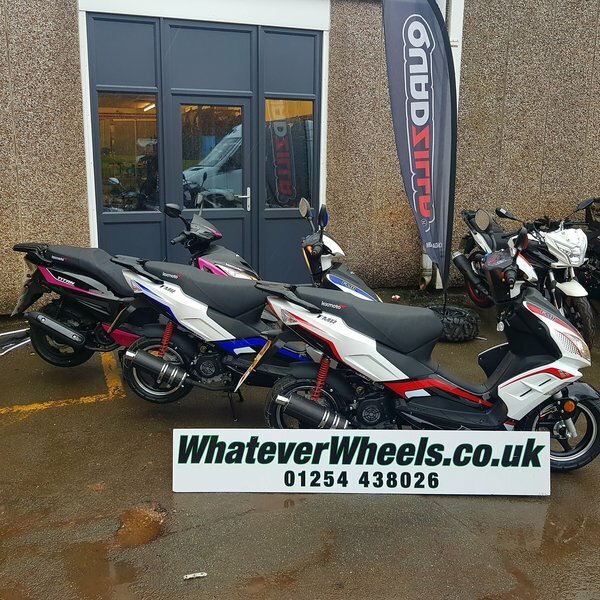 I honestly could not fault this company on any level, and would highly recommend them to anyone else looking to purchase a new bike. Very good service, and loads of stuff to look at and loads of different models. Hi yes it was my first 1000km service for my new bike which I bought off these guys mid June , I live 50 miles away , these where the only shop that had my particular bike in in the correct colour , a Bullit hero , they did the work whilst I waited , there's even a handy cafe around the corner for you to go whilst the works getting done , alternatively whatever wheels themselves have tea and coffee making facilities whilst you wait . So far do good. I would recommend yes.? I cannot fault the service from the guys, they are very professional. Always a pleasure to deal with this company. I purchased the scooter here and keep returning for service, says something! Can't fault on service and workmanship, looked after from start to finish. Highly recommend. Good service, polite, helpful, price ok. Would use again. Came for a service and as always excellent staff and a friendly service. 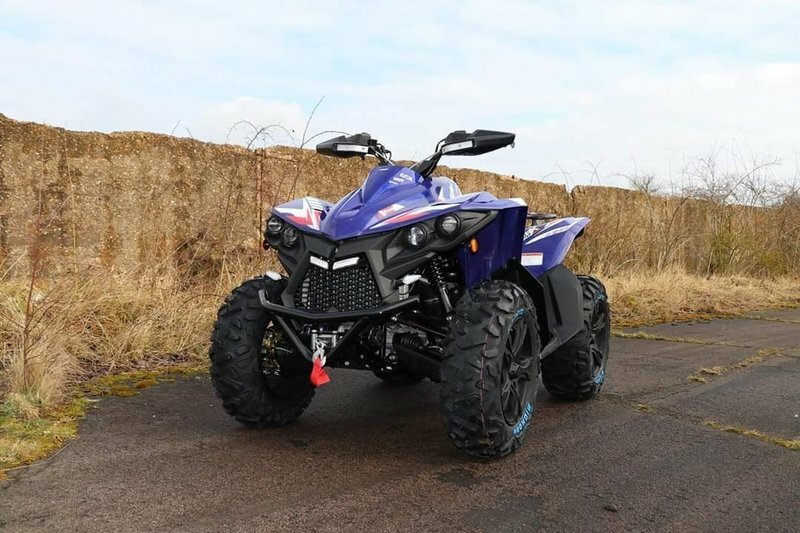 Bought a new quad bike the staff was great and very helpful. 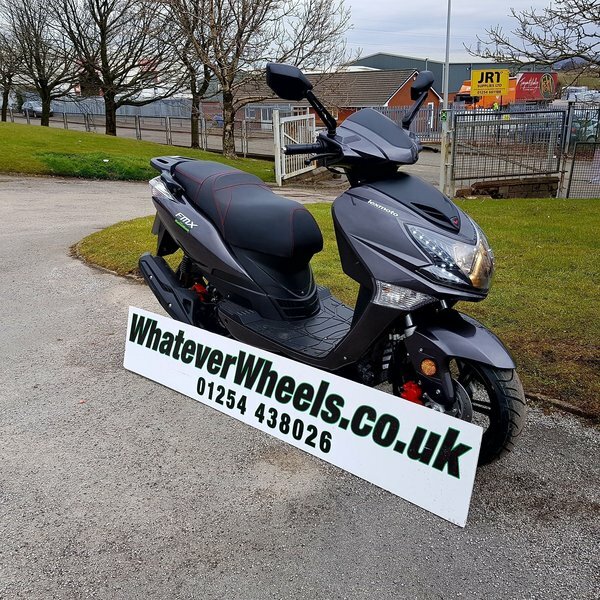 I bought a motorcycle , my first from whateverwheels and I'm pleased with the process from start to finish they were very helpful and my bike delivered and signed over to me with plenty of info on the bike itself and help getting it into my drive as I was a nervous recipient with no experience. Id buy from them again safe in the knowledge that they are trustworthy and helpful.